This was taken during our cruise to the Caribbean last winter. 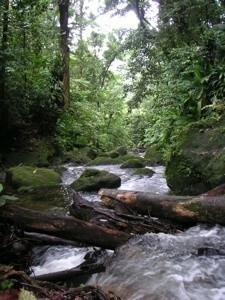 We were touring Dominica and stopped for a photo of this stream. As the weather was hot and humid, the cool, rushing water and shade from the trees was very welcome. Very nice. Thanks for sharing, good luck.